Use the graphics, character labels and the 7 steps to narrative writing to motivate students to write Fairytales. 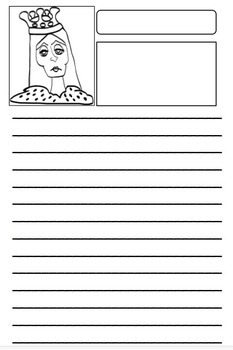 Print out the blackline masters for students to publish their writing. Teachers can use this for modelling narrative writing, by sticking magnetic tape on the back of labels to use on magnetic whiteboards. 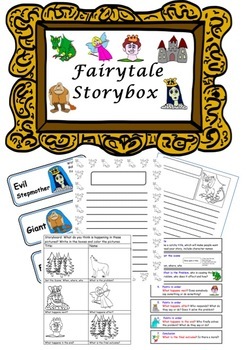 Add the Fairytale storybox to a Writing (Literacy) center for independent students to plan, write and publish their fairytales. Cut out and laminate the Picture Labels so students can use these to plan their narrative. Cut out and laminate the copies of the graphics and glue or double side magnetic tape so that these can be used on magnetic whiteboards. 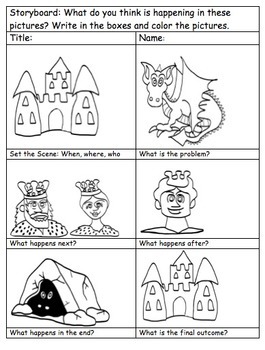 Cut out and laminate the ‘7 stages of writing a narrative’ and students can use these to organise their story. Print out the Storyboard pages. Students write what they think is happening in the graphic boxes. 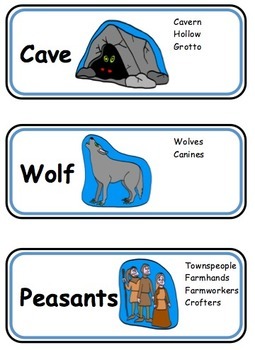 Publish stories using the PowerPoint template and Fairytale graphics. Cut out and print copies of the blackline masters and put the labels and masters all into one container.